When I settled in San Francisco, I realized I had to eat something I had been craving for a while: schwarma. 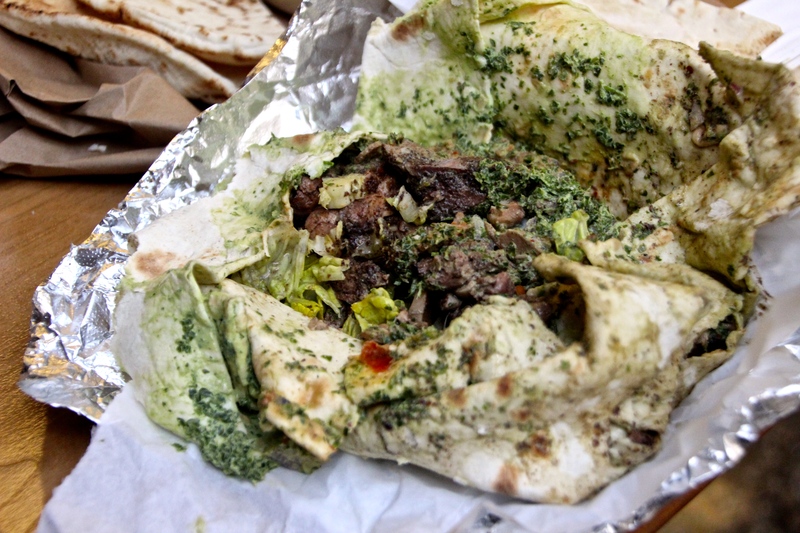 Or, if you’re at Arabi in the Rincon Center: shawerma. Whatever the spelling, I needed it. And I needed it with chicken. And I needed it with sauce. 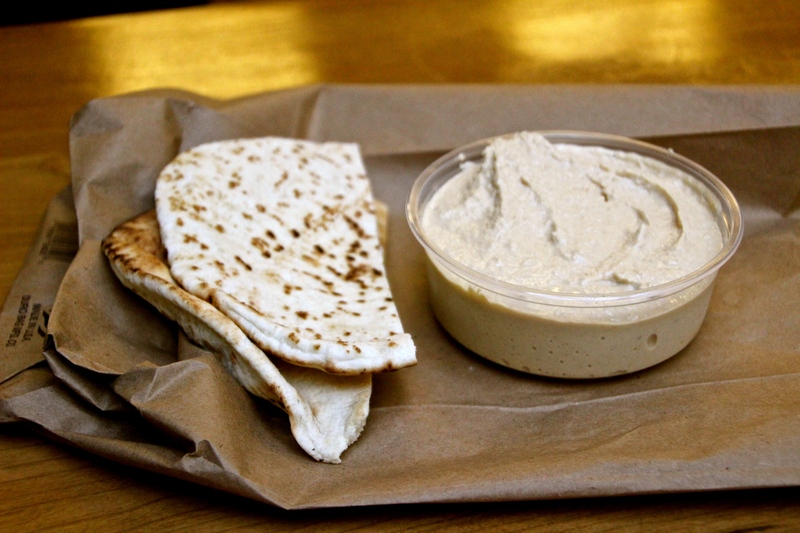 And I needed it with nothing else except some pita to wrap it. I hoped that Arabi would satisfy this need, but I was way off. Look at the mess you’ve made. You see, even though when I asked the lady behind the counter what came in the shawerma and she replied that it had tahini, chicken, lettuce and onions and I asked for it without them veggies, my hopes were dashed when I bit into the wrap. What I got was a mouthful of veg and some other weird green sauce. The green sauce wasn’t terrible, but it came with bad company. It was a goddamn effort getting the lettuce and onion out, and when it was done there was no hope in putting it back into a wrap. Instead, I had shawerma mush and ate it unhappily. And as for the hummus I ordered on the side, I’m not sure if the only ingredient was mashed chickpeas, but it sure as hell tasted like it. Sorry, Arabi, but you failed me and left me craving even more shawerma to wash away the bitter taste of lettuce, onions and disappointment.